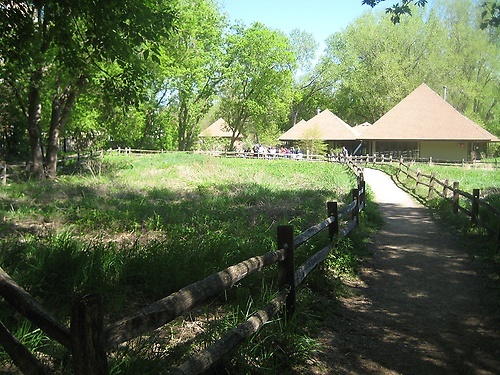 Wood Lake Nature Center is a 150-acre natural area dedicated to environmental education, wildlife observation, and outdoor recreation. Wood Lake staff offices at the 4,000 square-foot main building, which features many educational exhibits (see hours above). The park features several wildlife viewing areas, a 100-seat amphitheater, a picnic ground, and three miles of trails and boardwalks. The trails are either blacktop or crushed limestone and most are wheelchair accessible during summer months. To preserve the natural habitat, no pets, bikes or rollerblades are allowed. 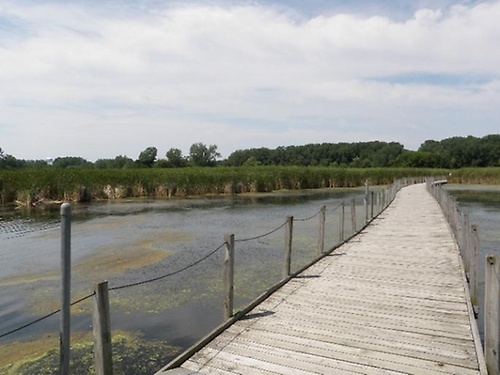 Wood Lake has over two miles of crushed limestone walking trails, floating boardwalk, and groomed cross-country ski trails (weather-permitting). See Wood Lake's trail map for distances and more information. 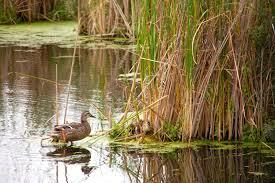 The trails wind through three different habitats: cattail marsh, mixed lowland forest, and restored prairie. For a list of birds you may see at Wood Lake, refer to our birding brochure. Wood Lake's mission is to provide the public with high-quality experiences in recreation and environmental education programs, act as a teacher/naturalist training facility and provide a high quality, diverse freshwater marsh-oriented nature facility for those programs and for use by individuals and groups seeking unprogrammed natural experiences. Wood Lake was once a recreational lake, surrounded by homes, but much of its water drained in the 1950's. 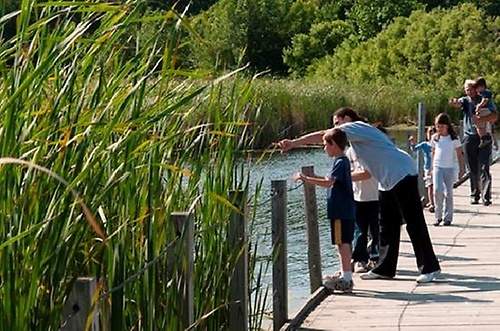 In 1969, the Richfield City Council approved the conversion of Wood Lake into a nature center.